It's not too late to get a serious break on these tax season office essentials! Get your "refund" today! With these tax season essentials, your CPA office will be ahead of the curve. The presentation of your business needs to be professional and stand out so your clients know who to take their taxes to next year, and who to contact for questions between the seasons. 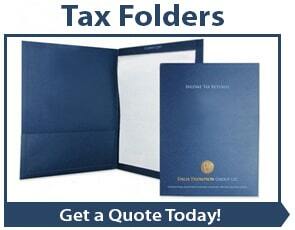 So choose a premium tax folder branded with your company logo and contact information, that folds in paperwork in a way that is organized and professional. Our specially designed tax folders have a standard pocket on the left side with slits for your business card, and a fold-over flap on the right that lets you staple-in documents and hide the staple afterward. 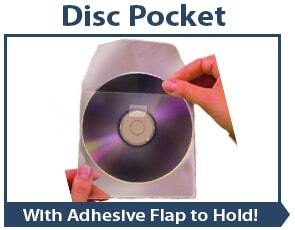 You can have the front, back, pocket, or fold-over customized with ink, foil stamps, windows, and more. 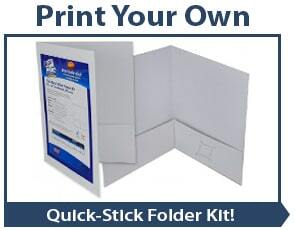 Or if you want a standard pocket folder with just two pockets on the inside, but you still want to impress with a personalized logo, then check out our custom printed pocket folders instead. And because these are made to order, you can choose from a huge selection of materials and colors for perfect brand-matching. 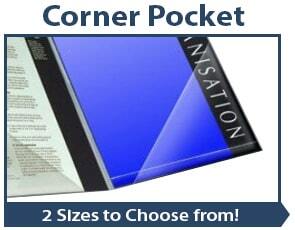 If you're not looking for a fully customized design, consider our Agility covers as an alternative. 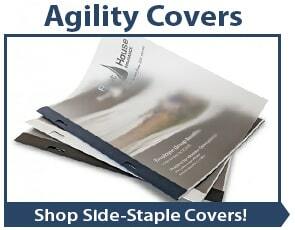 These affordable side-staple wrap around covers have a clear front to show your first page through, and three staple positions with flaps that cover the staples for a more professional finish. Choose from navy blue, white, or black. The front cover has a matte finish that is crystal-clear, but with a soft finish that elevates the look. And if you prefer, we can foil stamp these overs as well for an extra special look. The spine and back are made of a classic linen weave. 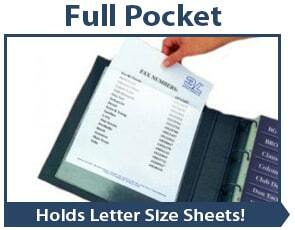 This offer is also valid for out standard pocket folders, which are available in either a linen or a gloss finish, as well as all of our self-stick pockets that pair perfectly for additional paper storage. 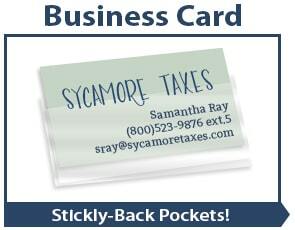 *Exclusions: Valid for all items listed in the above categories, including pocket folders, tax folders, custom pockey folders, agility wrap-around covers, and sticky-back pockets. Maximum discount savings of $50.00. Discount will automatically apply to your shopping cart when you enter the applicable coupon code. Coupon codes must be used during ordering process, and cannot be applied to any order after it has been placed, shipped, or delivered. One (1) promo code may be used per order. This promotion cannot be combined with any other promotions, discounts, or special offers. All stock orders over $75.00 also qualify for free standard shipping; full shipping details and exclusions can be seen here. Offer valid for qualifying orders placed from 02/12/19 - 02/22/19. Not valid where prohibited by law. Subject to change at any time.